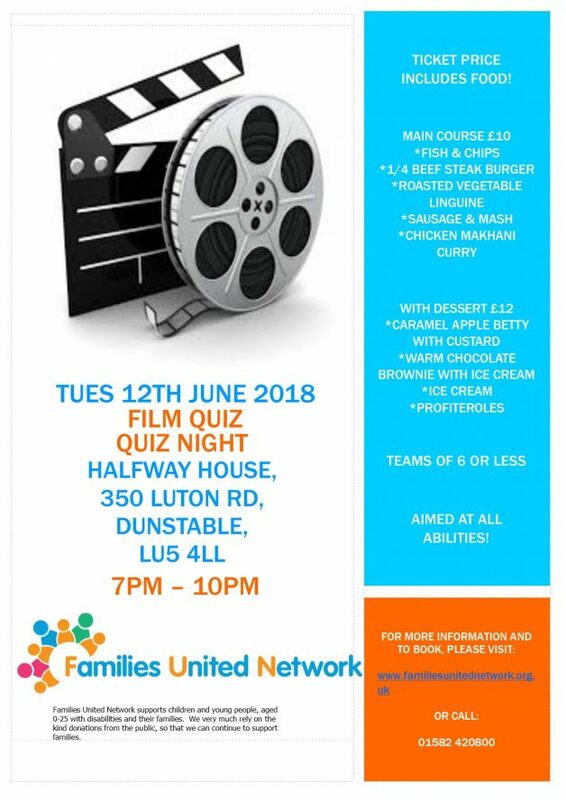 Based at the Halfway House in Dunstable, you will be able to enjoy a two course meal before competing in our famous Quiz night. Hosting by our favourite Quiz master TIM. Roasted Vegetable Linguine – linguine pasta in a rich tomato sauce and served with a sprinkling of Regato cheese and warm flat bread pieces. Chicken Makhani Curry – A medium- hot curry made with chicken breast in a tomato and cream sauce, topped with Greek style yogurt, Served with basmati rice and mango Chutney. Grab some friends and book your team table today.